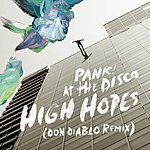 Panic! at the Disco is a Grammy-nominated rock band formed in Las Vegas, Nevada in 2004. The band comprises vocalist, guitarist and pianist Brendon Urie and drummer Spencer Smith. In July 2009, guitarist Ryan Ross and bassist Jon Walker left the band and have since formed a new band, The Young Veins. Panic! at the Disco's debut album, 2005’s “A Fever You Can't Sweat Out,” reached #13 on the Billboard 200 Albums chart. In early August 2006, “A Fever You Can't Sweat Out" went platinum, having sold over one million albums. 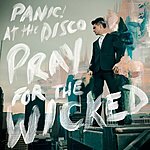 The first singe "I Write Sins Not Tragedies” reached #7 on the Billboard Hot 100 Singles chart. This is the band's only Top 40 hit in America. Their second single, "But It's Better If You Do," was released in the U.K. in May 2006 where it debuted and peaked at #23. The success of their first two singles helped catapult their debut album to the top of the Billboard Independent chart and to #13 on the Billboard 200 in July 2006. The band's second album, “Pretty. Odd.,” was released in March 2008 and debuted at #2 on the Billboard 200. The first single from the album was "Nine in the Afternoon." The song debuted at #29 on the Modern Rock Tracks chart. The same week it also debuted at #79 on the Hot 100. Months after its release the song was certified gold by the RIAA. The band released their third album, entitled “Vices & Virtues,” in March 2011. Preceded by lead single, "The Ballad of Mona Lisa," the album debuted at #7 on the Billboard 200. The single peaked at #89 on the Hot 100 and #26 on the Alternative Songs chart.